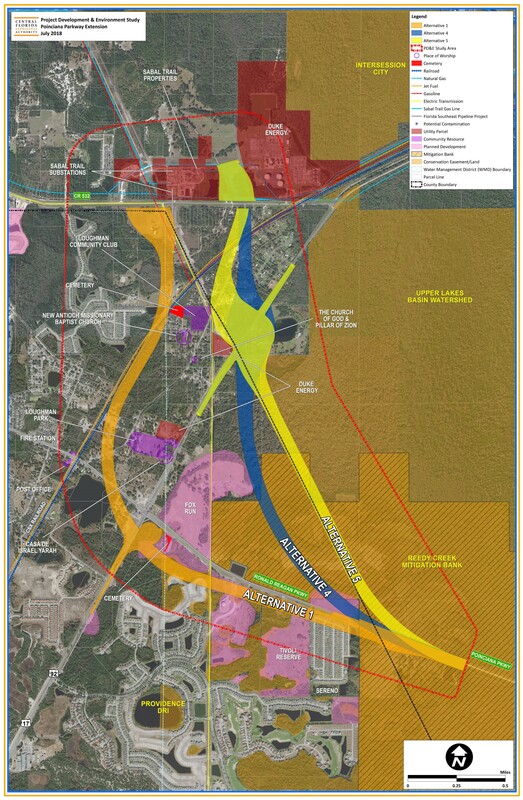 With the Poinciana Parkway now competed the most immediate task at hand for the Osceola Expressway Authority/Central Florida Expressway Authority will be completion of the I4 Northern Connector project connecting the north end of the Poinciana parkway directly to I4. The project has been under study for several years looking at the possible routes and narrowing down the alternatives. It is expected that this project will be built in two separate phases. 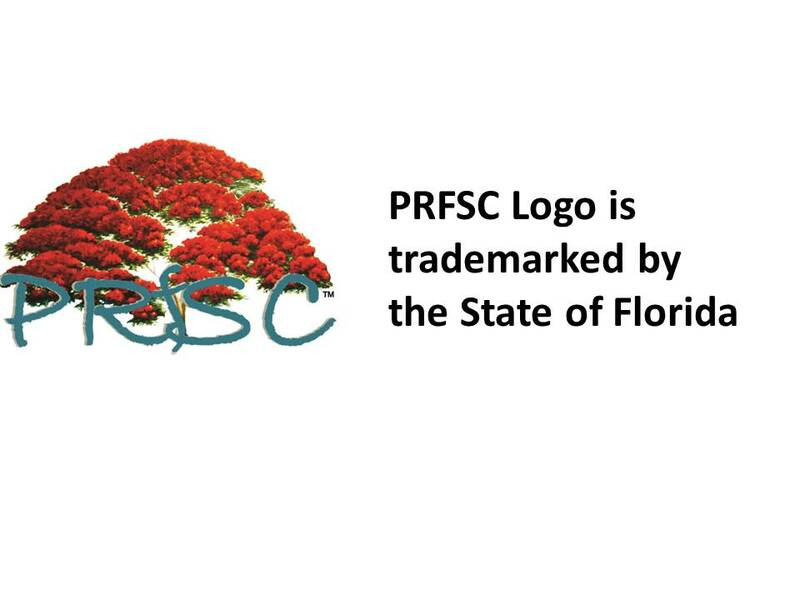 Phase 1 will connect the current north end of Poinciana Parkway directly to Osceola County Road 532. The project will construct a bridge over current road 17/92 connecting directly to 532 between the existing 17/92 interchange with 532 and the Lake Wilson Road interchange at Reunion/Champions gate. This will provide a direct connection between the parkway and 532/I4 interchange at Champions Gate. The next phase of the project is expected to connect from the Poinciana Parkway/532 interchange directly to the I4 429 interchange. The first phase of the I4 Northern Connector project is starting in August 2018. 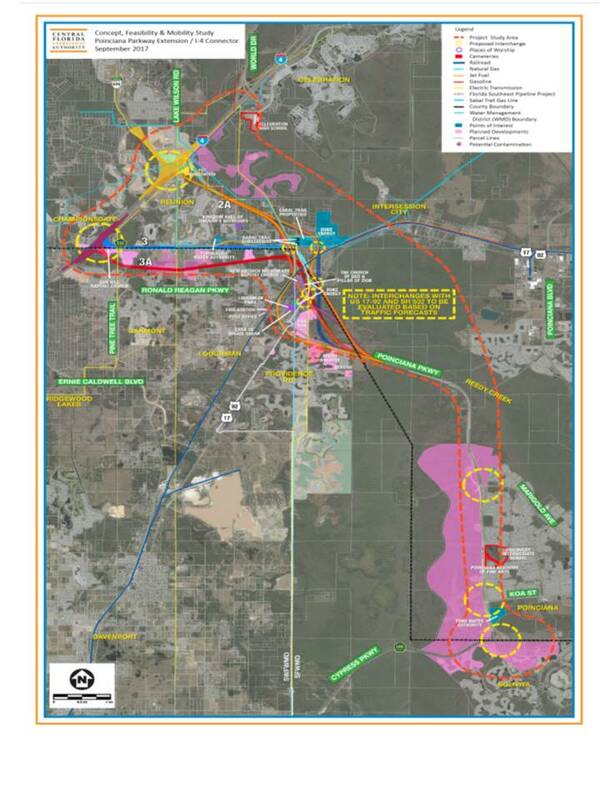 The purpose of this phase will be to select one of three options to connect the northern end of the Poinciana Parkway to Osceola CR 532 which will then allow connection to I4 at Champions gate or 192 using Lake Wilson Road. This phase of the project is expected to take 15 months at which time construction should begin.